Skyrim Elder... Mods and More. Elder Scrolls Skyim mods and more. I dig through all the crap so you don't have- bringing you the mods you good from the piles of bad. The lists of mods you find here on this website are not just a list of every mod for each category. I've gone through extensive amounts of mods, and have chosen the ones that are worthy of your time to enjoy. Of course this website isn't just about mods. There are tons of other useful information hidden away within these pages. 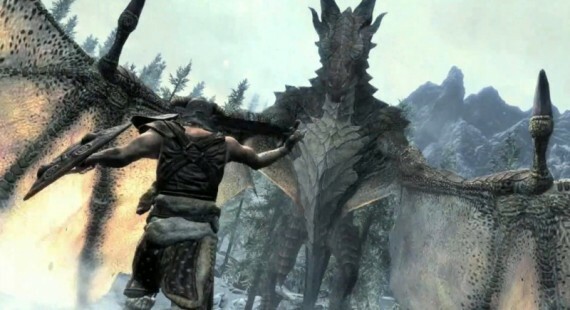 Let's take a look at some of the stuff you may want to check out about Skyrim. Did You Know; you can Keybind in Skyrim (PC)? -As mods are added every day, these lists are always a work in progress, check back often. November, 2011. -The website is in construction and new stuff is being added all the time, be patient and I hope you can use this as a resource when you need it. Unfortunately for all us Elder Scroll fanatics, the Skyrim Construction Set has not yet been released to all for the full array of mods we know are going to be coming for Skyrim. This has not stopped some fantastic mods from already coming out. Many of which are using modded versions of Fallout New Vegas and Oblivion software to enable tweaks of settings. We are still unaware what we will be capable of changing through the construction set, if it will be the same as previous Bethesda titles or even better. Website is in heavy construction right now, bear with it, I initially only wanted to have mods. Couldn't help myself. What race are you playing in Skyrim? Check Out Some Skyrim Blogs! Check them out, and while you're at it check out my SkyrimElder Blog.